This week The Guardian Online published some images from my ongoing project photographing circus shows and circus artists. I have been photographing circuses since I was a teenager, and have in recent years ramped up my effort and enthusiasm for the project. There's a link to the piece at the bottom of this blog, or you can get there by clicking on the blog title. The piece that The Guardian have published comprises images from two circuses. The first is the Great Yarmouth Hippodrome Circus, which is owned by one of my best mates Jack Jay and his family, and is the place which first got me interested in circus. I spent my adolescence running around that place (though I must have been the only person in our entire peer group who didn't ever actually work there!) and since then I've never felt more at home anywhere than at the 'drome. Whenever I get back there and I smell the sweetness of the popcorn and the slightly acrid smell of the chlorine in the ring pool I feel instantly at rest. I'll be headed back there in a couple of week for their easter show, Pirates Live, to watch the show and get some more material. 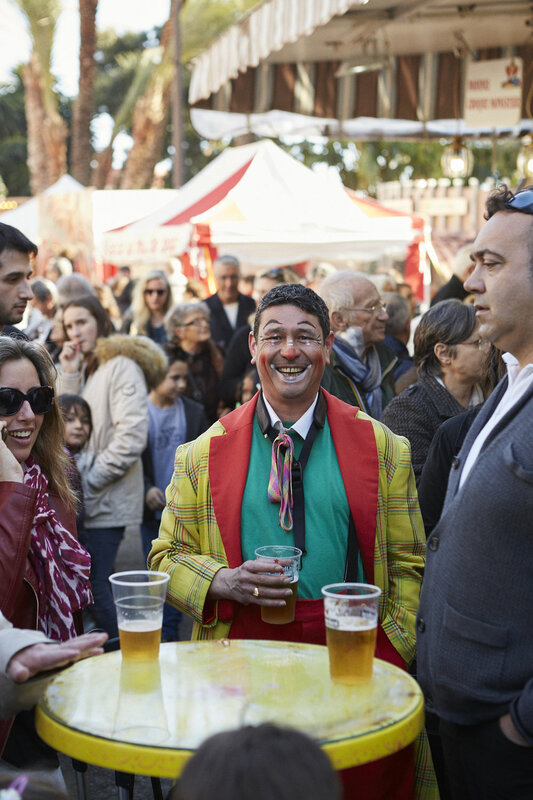 The second site featured is the Fontvieille Big Top in Monte Carlo, the site of the annual International Circus Festival Of Monte Carlo, a prestigious circus festival hosted by Monaco's royal family for ten days every January, now in its 42nd year. I spent 4 days in Monte Carlo this year, photographing the backstage working of this huge production and arranging, where possible, portrait sessions with the artists. Having wanted to go and make work at the festival for some years I finally decided that 2018, the 250th anniversary of modern circus, would be too big too miss. It was an amazing experience and although being around circus artists and productions is deeply familiar it was also a massively new experience for me, having never worked in such close proximity with exotic animals before. It's a really big deal for me to get published by a platform with such a huge readership so needless to say I'm really pleased, but I'm also really excited about the opportunity that this and other material circulating around Circus 250 might afford the world of circus generally. It's a culture that is sort of thriving, but in a pretty under-the-radar way, and hopefully some of the Circus 250 buzz will help reinvigorate public interest.